Learn about Nebraska divorce and family law by reading through a summary of the statutes on dissolution of marriage and child custody determination. You can also find skilled divorce attorneys, divorce and separation papers, child support information, and more. There is also information to help you locate local divorce support groups, access domestic abuse information and help, as well as information on educational classes for divorcing parents. Residency Requirements: Before filing for dissolution of marriage with the district court, at least one spouse needs to be a Nebraska resident for at least one year, unless the marriage occurred in the state and either spouse has continually resided in the state since the marriage. Divorce Grounds: The only recognized cause for divorce in Nebraska is that the marriage is irretrievably broken. Legal Separation: A couple can file for a legal separation in Nebraska if they don't meet the residency requirements for divorce. A legal separation doesn't dissolve the marriage but can address such things as property issues, support, and custody rights between the spouses. Support ordered as part of a legal separation decree may be modified at a later date if the court finds proof of good cause for the change. If a couple files for a legal separation because they don't meet the residency requirements for dissolution of marriage, either spouse can amend his or her pleadings to request a divorce once the residency requirements are met. Conciliation Requirements: Dissolution proceedings may be transferred to a conciliation court or the parties may be referred to qualified counselors or family service agencies which provide conciliation services. This allows the court to find out if there is a responsible possibility of the couple reconciling as well as to help the couple work out a mutual agreement on disputed issues. Property Distribution / Alimony: The court encourages couples to reach their own property settlement and spousal maintenance agreements. If the couple is unable to reach an agreement, the court can make its own decision regarding the equitable division of the marital estate and alimony considering the length of the marriage, the circumstances of each spouse, each spouses' contribution to the marriage including the care of their children, and the custodial parent's ability to work without interfering with the interests of their minor children. Property distribution agreements are usually binding unless the court finds that it would be unfair to one of the parties, in which case the court may request a revised agreement to be submitted by the parties. 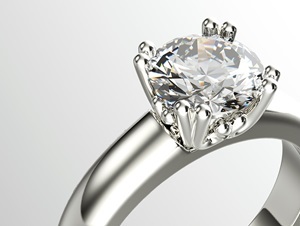 Spousal support may be ordered in addition to any property settlement award. An award of spousal support will depend on each spouse's financial condition, and will need to be accompanied by a statement showing all income sources, assets, debts and liabilities, living expenses, and any other relevant information. Alimony may be modified or revoked upon a showing of good cause and will end upon the remarriage of the recipient or the death of either party. Name Change: Either spouse can include a provision in their dissolution of marriage or annulment decree to restore his or her previous name. The name change becomes effective on the date the final divorce or annulment is entered by the court. Finalization of Decree: Generally, a divorce decree becomes final 30 days after the decree is entered. If one of the parties dies before the decree becomes final, the decree will become final and operative on the date it was entered with the court. For purposes of remarriage and the continuance of health insurance coverage, a divorce decree becomes final and operative 6 months after it is entered with the court. 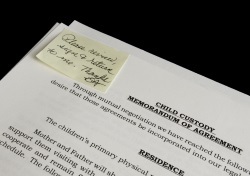 Child Custody and Support: If a couple is unable to reach an agreement on a parenting plan which outlines custody, child support, visitation and other issues concerning their children, the case will be referred to mediation or specialized alternative dispute resolution to reach an agreement. If such an agreement can't be reached, the court will make a decision regarding legal and physical custody on the basis of the best interest of the minor children. You and your spouse will also need to complete an approved Parenting Class prior to your final hearing. Child support is determined using each parents earning capacity and applying the NE support guidelines. The parenting plan will also include provisions for medical expenses, day care, education, expenses for extracurricular activities and any other extraordinary expenses for the child. Support orders may also include a provision for income withholding or the posting of a bond to ensure compliance with the support order. 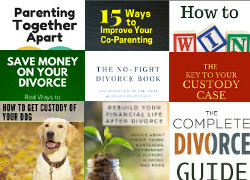 Modifications to the parenting plan and orders for support are generally referred to mediation or alternative dispute resolution, unless it would cause undue delay or hardship to either parent, in which case, the court will hold a hearing and base it's finding on clear and convincing evidence. Child support ends when a child turns 19, dies, gets married, or is emancipated by the court. Divorcing couples in Nebraska with minor children are required to attend a co-parenting education class as part of their divorce. You can find out more information about the various programs throughout the state at the Nebraska Judicial Branch page on Parenting and Divorce Information. Need a Family Lawyer? Qualified lawyers in your area have already been pre-screened for you. With this service, you can schedule a divorce consultation and find out how a divorce attorney may help you protect your rights. Are you concerned about legal expenses? You can cut the cost of divorce by doing all the paperwork yourself. Using the intuitive process at 3stepDivorce makes preparing your own documents fairly easy, as it guides you through filling out the correct information needed in your divorce. Your final documents are accurate and up-to-date for the state of Nebraska and you'll get details for filing your documents with the proper court. The service also provides downloadable manuals that provide information on specific topics. Get started completing your Nebraska divorce today. Online QDRO Document Creation - Using the simple and user-friendly interface of the QdroDesk™ technology makes generating your own QDRO documents easy and convenient.